DROPPED YOUR PHONE IN THE WATER? i can't tell you how many times I see and hear about wet phones. It can be a very frustrating moment to see your phone drenched with water, but panicking and rushing to dry it with anything that you find is not the solution and may actually cause more harm. According to Apple, in most cases, you can still save your iPhone after it has been exposed to water, but it’s important that you take the necessary precautions to limit the damage and avoid causing extra harm. Here’s the process they recommend to deal with an iPhone that has been damaged by water. If your iPhone is plugged in to a power source, unplug it immediately as it can cause short circuits. Also, disconnect USB cables, headphones, or any other accessories connected to it by a wire. Completely dry the external surface of the iPhone with a piece of cloth. Avoid using electronic devices for drying, such as a hair dryer. Hold your iPhone upside down and gently shake it to get liquid out of the ports and sockets. If the iPhone is still turned on, power it off by holding down the power button. If your iPhone is in a case, take it off to avoid any liquid being trapped inside. Now that you’ve taken the necessary precautions to limit the water damage to your iPhone, you’re ready to dry the internals. It’s a popular concept to stuff a wet device into a bag full of rice to dry the internals. Based on experience, this actually works and helps to absorb the moisture within the iPhone. To get started, grab a plastic zipper-lock bag or anything else that can be filled with rice. Now fill it with rice and place the iPhone in it so that its entire body is covered by rice. Leave it there for about 36 hours or more until all the moisture is absorbed by the rice. Be warned that some dust or rice grains may get into the ports. An alternative option is to use silica gel which is more effective in drying a wet device, but you’ll need lots of them to cover the iPhone. Once you’ve waited for at least 36 hours and feel confident that the iPhone has dried completely, take it out and try switching on. In most cases, the iPhone will turn on successfully. If your iPhone doesn’t turn on, then you should take it to a nearby Apple Store and have it inspected. Keep in mind that iOS devices have a liquid contact indicator that shows whether the device was damaged by water, so make sure that you don’t claim that the iPhone stopped working without any apparent reason. Not all iPhones will survive a bath, so it’s best to play it safe from now on. You already use a case to protect your iPhone from accidental drops, but why not from water damage? To protect your iPhone from an early demise caused by water, use a waterproof case. Visit a veterans' home. After the Civil War, the US found itself with a large number of indigent and disabled veterans who couldn't care for themselves or go back to work. The first veterans home was opened in 1864, and since dozens have sprung up to give back to our vets. It's the least the nation can do, but we as citizens can do more. Stop in, visit them! Chat with a vet for an hour or two, bring the kids to say hello, drop off a big plate of fresh baked cookies. Do something to let them know they are not forgotten. Visit the local veterans cemetery. Some graves are well-maintained by family members, but when there are no living relatives, that chore falls on the shoulders of local veterans groups. Lend a hand by bringing some flowers and helping to beautify a few of the less cared for graves. Attend a parade. This one's pretty easy, and a big hit with the kids, and it will give the veterans marching a big smile. Attend a memorial service. Many veterans groups plan these events for the holiday, and they never say no to more participants. Raise your flag. Some times showing your thanks can be as simple as flying Old Glory at your house. She should remain at half mast until noon, as per tradition. The first rule of waves, especially in the open ocean, is that there are no rules. Kind of a hypocritical statement considering the intent of this, but it is a cold hard fact. There are simple physical factors that makeup the "normal" wave, but within the forces of nature, there a myriad of other factors that need be considered. Regardless, an understanding of what makes a wave can be of considerable benefit to the everyday sailor. 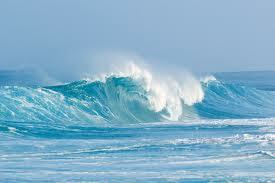 Waves take their time to develop; they don't spontaneously erupt from the ocean. It takes a certain speed of wind to blow over a certain distance for a considerable length of time to create lasting waves. Ripples appear on smooth water when the wind is light, but if the wind dies, so do the ripples. Seas are created when the wind has blown for a while at a given velocity. They tend to last much longer, even after the wind has died. Swells are waves that have moved away from their area of origin and are unrelated to the local wind conditions -- in other words, seas that have lasted long beyond the wind. Another class of students emerge into the cold reality of the world we live in. We all are scared. Even those of us who have been emerged in it for decades. But, trust me, you get used to it. Take Will Ferrell, describing his own career journey, Ferrell said he graduated in 1990 from USC with a degree in Sports Information, “a program so difficult, so arduous, that they discontinued the major eight years after I left.” Instead of going into sports broadcasting, Ferrell knew in his heart that he wanted to pursue his hobby of comedy as a full-time job. And that came with being open to failure. Ferrell said he “didn’t utter a word” the first time he participated in the comedian-training ground of Groundings, an improv and sketch group. “Even in this moment of abject fear and total failure I found it to be thrilling to be on that stage. I then knew I wanted to be a comedic actor.” He would perform at Groundings for years until he got his first big break after being selected to join Saturday Night Live in 1995. A boater has a lot of choices when it comes to visual distress signals, But how does the boater who needs to make a decision proceed? If performance is secondary to staying in the good graces of your local boating safety patrol, the Sirius Signal SOS light and a distress flag will cover the basics. If you're headed offshore, certainly add more and better flares to your list, and maybe a laser or automatic SOS light for good measure. And if you're somewhere in the middle, sticking with the tried-and-true might work for you. None of the options is perfect and it's important to have additional other means of signaling aboard, be it a VHF, cellphone, or satellite-based device, depending on your needs. No matter which you choose, make sure you keep them up-to-date, easily accessible aboard, and know how to use them. There are pros and cons to each type. The effectiveness of a distress signal comes down to whether or not an observer — who may be tired, careless, or untrained — can see and understand that the light is a signal. A distress signal must be big enough and bright enough for someone who may be miles away to positively identify and locate the source. So it's no surprise that the brightest and most intense flares, the SOLAS-approved or their equivalents, did so well. They're around 30 times brighter than a standard Coast Guard-approved flare. If this was simply a question of the best flares money could buy, it'd be simple. But what if you don't need that level of performance? Flares have been around for more than 100 years, largely because they just plain work as a distress signal. Observers commented that they subconsciously recognized fire as a danger, especially when it appears where we know it isn't supposed to be. We know there's a problem when we see fire on the water. Easy to recognize as a distress signal. Very bright, SOLAS flares and their equivalents ranked in the top three spots at each distance tested. All the flares emitted sparks, which can damage your boat or burn you. Our testers used welding gloves to hold the flares, and even with that, the heat from the flares made them almost too hot to hold. Flares expire 42 months after manufacture, for good reason; flares become unstable over time and aren't as reliable. The chemicals in flares are hazardous waste. Light Emitting Diode devices are relatively new to the scene, and as the technology continues to evolve, prices are dropping rapidly. LEDs are durable and long-lasting, so more devices are expected to come on the market in the next few years. Highest effective intensity of any electronic light available. Easy to set a particular color, length of flash, or flash pattern. With appropriate power, can work for days, rather than minutes. Far safer to handle than pyrotechnic flares. Can be hard to distinguish from background lights. Not as bright as pyrotechnic flares. The best-performing light consistently ranked as less visible than the control, a USCG-approved, red Orion handheld flare. With no expiration date, batteries need to be checked regularly. People might not know a signal from an LED device is a call for help. Doesn't have the range of visibility that pyrotechnic devices have. At five miles, the performance dropped off considerably. Lasers have been on the scene longer than LED lights but haven't caught on as an alternative to flares. These devices are not like "light sabers" you'd see in the movies. Although under the right conditions, you can see the beam of light, especially with a green laser. The green Greatland flare was very popular with observers, especially at longer distances. Unlike laser pointers, which should never be aimed at aircraft (or other boats, for that matter) as they temporarily blind the operator, the flares tested emit light in a fan pattern, so the greater the distance from the viewer, the wider the fan. This pattern also protects the eyes of your potential rescuer, as the light isn't a focused beam that could burn your retina. The observer simply sees a green flashing light. Green laser is very visible at night, and the farther away it is, the wider its beam becomes. Always ranked in the top three by our observers, it led the field at three miles and practically tied for the top spot at five miles. Far safer than pyrotechnic flares. Compact, and designed to last for five hours of continuous use. Lasers are directional, so you must aim them at a potential rescuer, which means you need some idea where help might be coming from before they can be of much use. The green color is more expensive than the red, but it was also easier to see. The red version ranked just under the USCG-approved red Orion handheld in all tests. While legal for use in rescue situations and deemed "eye safe," pilots are taught to fly away from lasers. Anna Jarvis is often considered the founder of the modern version of Mother's Day. She fought against the commercialization of the holiday, working to protect it from "the hordes of money schemers." But she was not first to want to honor mothers, there were others, albeit with different agendas. Julia Ward Howe, better known for writing "The Battle Hymn of the Republic," promoted a Mothers’ Peace Day beginning in 1872. For Howe and other antiwar activists, including Anna Jarvis's mother, Mother's Day was a way to promote global unity after the horrors of the American Civil War and Europe’s Franco-Prussian War. Frank Hering, a former football coach and faculty member at University of Notre Dame, also proposed the idea of a Mother's Day before Anna Jarvis. In 1904 Hering urged an Indianapolis gathering of the Fraternal Order of Eagles to support “setting aside of one day in the year as a nationwide memorial to the memory of Mothers and motherhood.” Hering didn't suggest a specific day or month for the observance, though he did note a preference for Mother's Day falling on a Sunday. The white carnation was the original flower of Mother’s Day. “The carnation does not drop its petals, but hugs them to its heart as it dies, and so, too, mothers hug their children to their hearts, their mother love never dying," Jarvis explained in a 1927 interview. Knowing how to read a tide table can mean the difference between a good day and a bad one. If you've ever waited anxiously for the twing of your antenna against the underside of a highway bridge, you know that playing with tides can be a game of inches. To pass safely under that bridge or over the bar that lies between here and home, we need to understand all the components of the tides. Along most of the coast, tides rise twice and fall twice each day. These are called semidiurnal tides. In some places, the tides cycle only once per day; these are called diurnal tides. And in still other places, one daily high tide is much higher than the day's second high tide; these are called mixed tides. 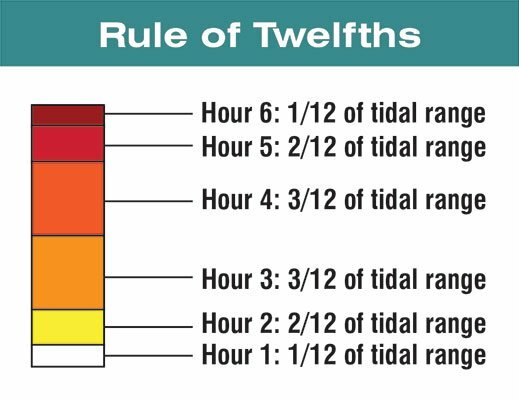 Tide tables, provided by the U.S. National Oceanic and Atmospheric Administration (NOAA) at tidesandcurrents.noaa.gov, tell you three important things for any given place: the time of high tide, the time of low tide, and the heights of each. But what about the times in between? For that, you'll need the Rule of Twelfths (see chart ). The relationship between the wind and the waves is very important to boat to skippers. So important that a completely new classification system was designed as a guideline incorporating both wind speed and the wave conditions most readily found at those speeds. This system, called the Beaufort Scale, was developed in 1805 by Admiral Sir Francis Beaufort of the British Navy. It is a guideline for what can be expected in certain conditions and a weather classification system. It assumes open ocean conditions with unlimited fetch. Small ripples, like fish scales. Short, small pronounced wavelettes with no crests. Large wavelettes with some crests. Increasingly larger small waves, some white caps and light foam. Moderate lengthening waves, with many white caps and some light spray. Large waves, extensive white caps with some spray. Heaps of waves, with some breakers whose foam is blown downwind in streaks. Moderately high waves of increasing length and edges of crests breaking into spindrift (heavy spray). Foam is blown downwind in well-marked streaks. High wind with dense foam streaks and some crests rolling over.Spray reduces visibility. Very high waves with long, overlapping crests. The sea looks white, visibility is greatly reduced and waves tumble with force. covered with patches of foam. The air is filled with foam and spray, and the sea is completely white. Aside from just wind speed, temperature is also a factor in creating waves. Warm air (which rises) moving over water has a less acute angle of attack on the surface than does cool air (which sinks). A cold front moving across open water will create much steeper waves and hence create breakers sooner than a warm front moving at the same speed. So, what does all this mean? Why is it important to know how waves are made? Well... You can determine several things from waves. One of the things you can tell based on waves, is boat speed. This assumes that your vessel is a displacement ship, like a keelboat, and not a planing one like a speedboat. When sailing a displacement vessel, the boat is constantly displacing a large chunk of water as it moves along. The heavier the boat, the deeper the trough it carves through the water. Now, along with the physics of waves we discussed above, we can add that the faster a wave travels, the longer it is. As a boat's speed increases, the number of waves that it pulls along the hull decreases until the boat is actually trapped between the crest and trough of a single wave that it has created itself moving through the water.